In my intermittent effort to make space in my freezers, I was delighted to come upon a bag of black currants yesterday. Just the day before, while pruning my currant bushes, I’d been dazed by the musky fragrance of the wood—the same intoxicating fragrance that wafts from the fruit and leaves of the black currant. * (And perhaps most of all from the buds, for it’s the buds that the French collect for perfume.) And I’d suddenly realized that I’d neglected to make raw black currant jam last summer. 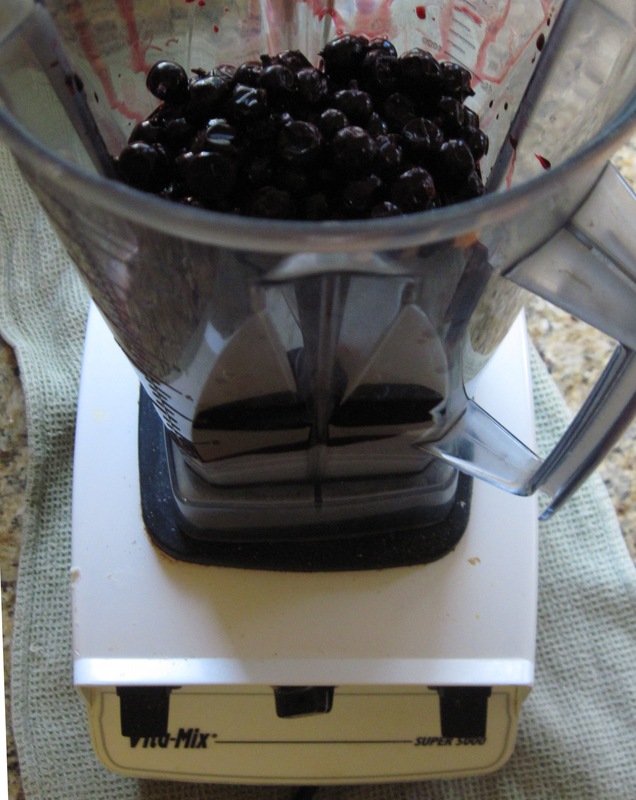 Briefly blend the currants and sugar in a food processor or blender. 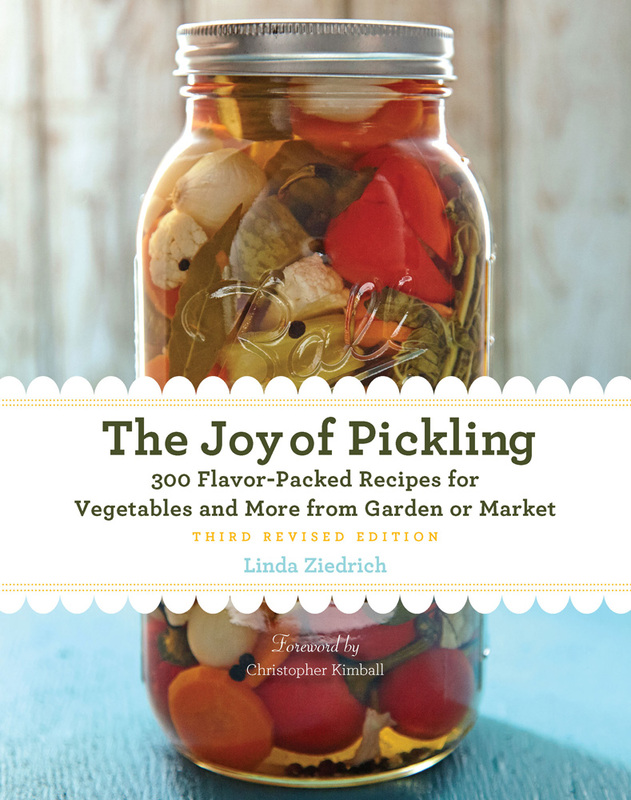 Pack the jam into a jar, and cap it tightly. Store the jar in the refrigerator. Makes 1 pint. Don’t be tempted to reduce the amount of sugar called for here unless you plan to eat up the jam quick or store it in the freezer. Provided the currants were free of mold when you picked them, the sugar will allow the jam to keep well—so well, in fact, that for me this jam keeps perfectly in the fridge for a year. And don’t assume the jam will be too sweet for your tastes. Currants are low in natural sugar, and the added sugar is well balanced by the currants’ high acid content. If you taste the jam immediately, you’ll probably feel sugar grains on your tongue. That’s OK—the sugar will soon dissolve. And although the jam may already seem thick enough to spread on toast, it will thicken more in the fridge, though it will never jell hard, as cooked black currant jam does. *I mean Ribes nigrum, the European and Asian black currant, which the French call cassis. The yellow-flowered, thicket-forming variety known as Crandall, which was selected from an American species, lacks the cassis aroma. 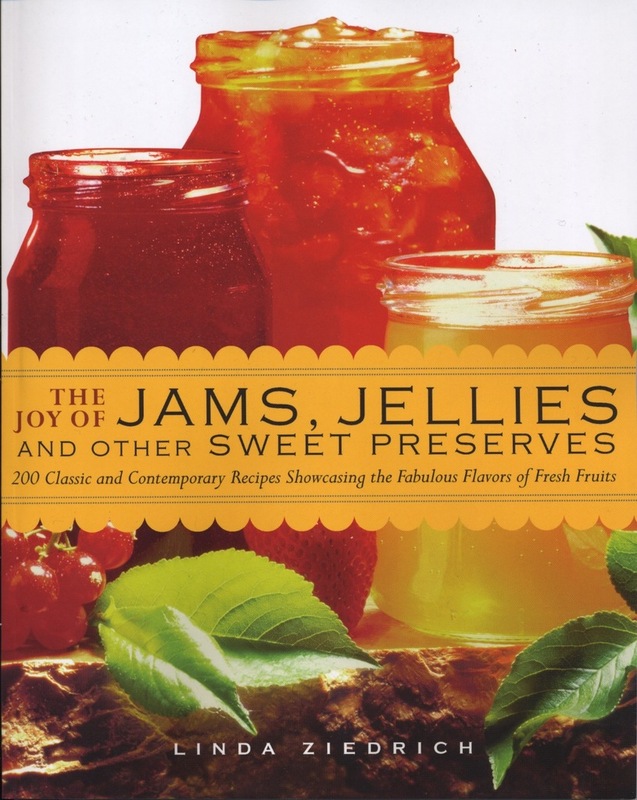 This entry was posted in Fruits, Sweet preserves and tagged black currants, cassis, raw jam. Bookmark the permalink. Sounds delicious. I am hoping my blackcurrant will be grown-up enough to fruit this year. I am just picking the last of this seasons currants, which have been neglected so many are half dried and alas there is also mould in the mix but syrup still does well. We too have to make space in the freezer and I know there are a few kilos in there from a couple of years ago so will try this. Do you think frozen seedless grapes from last summer would work out for this? We couldn’t eat them all and into the freezer they went. I think they are a seedless concord type (there is no seedless concord but that’s what they are called just the same). I don’t know, Barb. I think I’d try it with a very small quantity. Of course, you could certainly use these grapes for cooked jam or jelly, with the skins strained out. I recently made this jam from black currants I froze not knowing what to do with them–and was amazed at how well it worked. We have eaten some of the jam and (long story) I just used some to make natural (blue) Easter Eggs (http://artofnaturalliving.com/2015/04/03/ad-libbing-all-natural-easter-eggs/). Worked great–perhaps better than my old standard red cabbage, though probably not what you expected people do do with your recipe 😉 Thanks for sharing! Inger, from the photos it appears that your currant-dyed eggs turned out a beautiful sky blue. Thanks for the idea! Wow, this has to be the easiest way to make a jam. I will definitely try it this summer, black currant is my favorite fruit in the world with its velvety, dark taste. I usually pick some at the West Union garden with my daughter and always run out too soon. Last year’s crop was delicious and sweet. Maybe a new variety? Black currant is one of my favorite fruits, too. On a hike today I snacked on black-currant-and-apple fruit leather. I liked it, but it was certainly very tart, much more tart than sweet. If anyone wants to try this, I suggest using a lot of apple in relation to black currant.